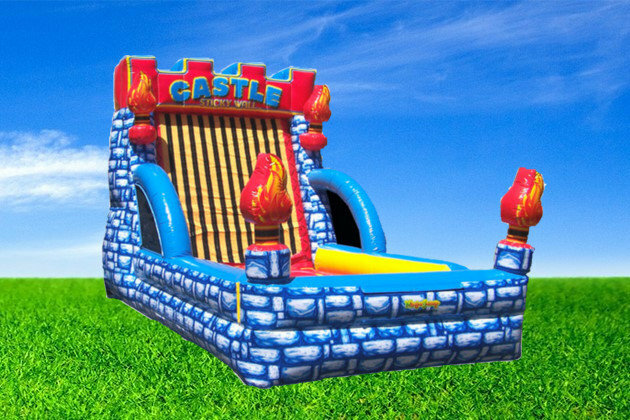 Castle Sticky Wall Rental | BounceGeeks.com Richmond, VA.
Who thinks they can leap the highest up the Castle Wall? Here it is, the classic Castle Sticky Wall challenge! Suit up in a velcro suit and you're all set. 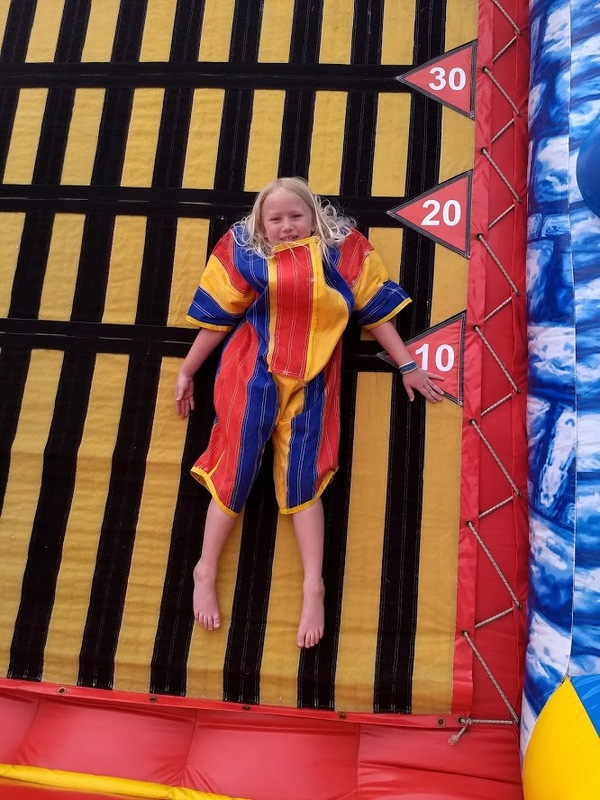 Take off running then take a big hop off the bounce floor as you try to leap onto the wall. The velcro does it's magic and bam, you are stuck! Whoever gets the highest is the winner! Lots of fun will be had by all those who try or those who just like to watch the action. 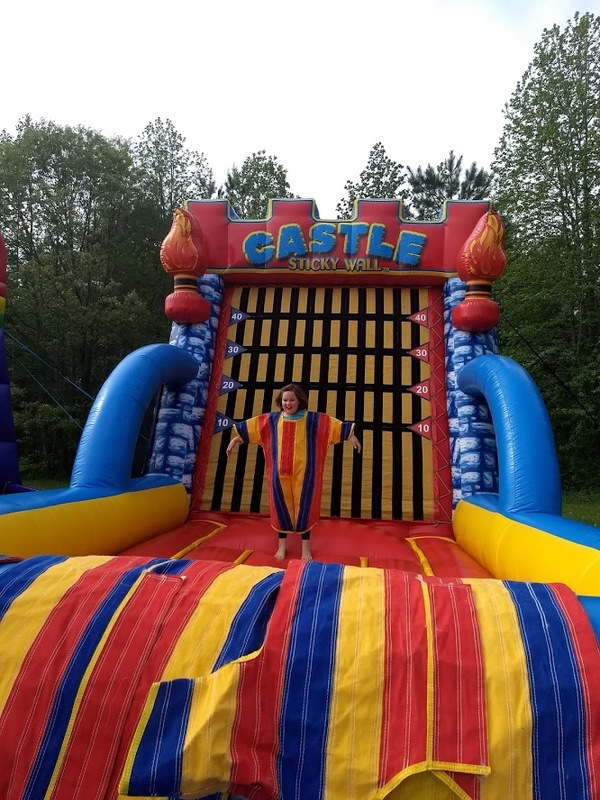 Sure to be a big hit at your event!